When shopping for bathroom or kitchen countertops, there are a variety of types of countertop material and styles to choose from. With options like granite, marble, and quartz countertops, homeowners can instantly enhance the look of their kitchen or bathroom. While all of these countertop styles are a great addition to any home, Decoran countertops offer homeowners some of the same characteristics as other popular countertop materials. 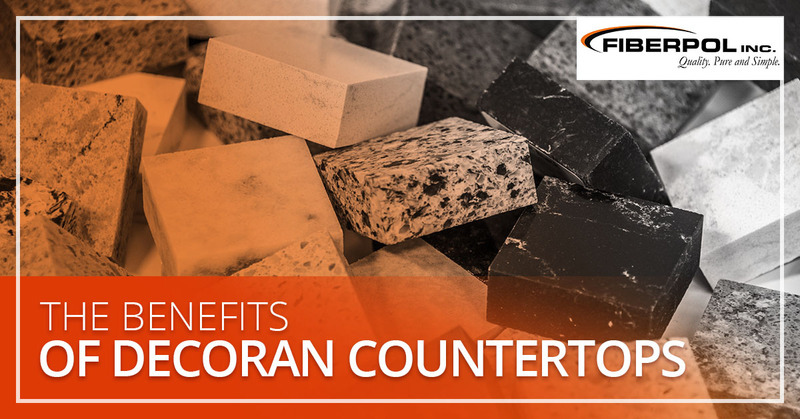 In this blog, we are going to take a deeper look into Decoran countertops and the benefits that they bring. Decoran is a locally manufactured, solid surface, countertop material with an Acrylic Modified Polyester base, which combines to produce a stain resistant, chemical resistant, and non-porous countertop that is ideal for use in homes, businesses, and other application. Unlike natural stone countertops, Decoran are solid all the way through, making them more resistant to breaking or cracking. Decoran is a great material for both kitchen and bathroom countertops and it is becoming one of the most preferred countertop materials for homeowners in the area. This is a great option for buyers not interested in laminate countertops but looking for more appealing and affordable countertops. 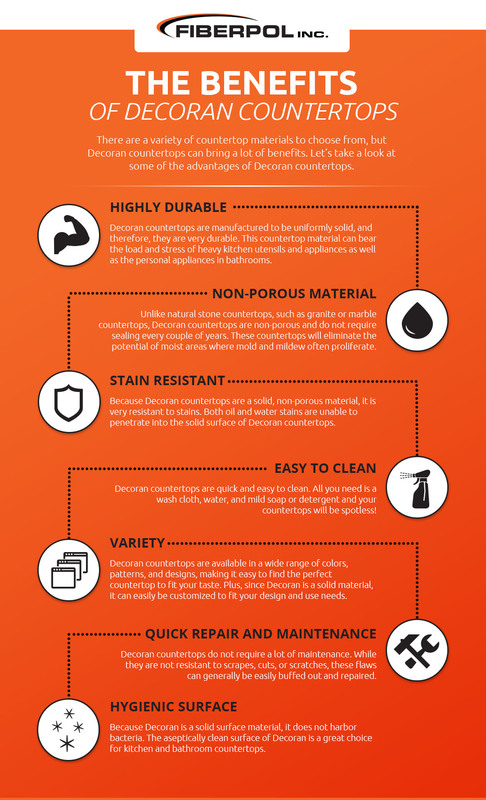 Let’s take a look at a few of the many benefits of Decoran countertops. Whether you are renovating or constructing a home, using durable materials should be one of your first considerations so that do not have to worry about replacing them. Decoran countertops are manufactured to be uniformly solid, and therefore, they are extremely durable. This countertop material can bear the load and stress of heavy kitchen utensils and appliances as well as the personal appliances in bathrooms. These countertops have seamless characteristics that make them consistent all the way through. There are no chips, loose ends or cracks that might cause damage. Unlike natural stone countertops, such as granite or marble countertops, Decoran countertops are non-porous and do not require sealing every couple of years. When countertops are porous, they are more susceptible to absorbing moisture, allowing damaging mold and mildew to grow. Decoran countertops can easily be joined to sink without leaving any gaps. This watertight transition between the sink and counters eliminates the potential of moist areas where mold and mildew often proliferate. Because Decoran countertops are a solid, non-porous material, it is very resistant to stains. Both oil and water stains are unable to penetrate into the solid surface of Decoran countertops. You no longer have to worry about dirt, spilled wine and other liquid, or other stains from ruining your countertops! Having a countertop surface that is difficult to clean can quickly become a headache for some homeowners. A countertop that is quick and easy to clean is essential, especially in a kitchen for those who spend a lot of their time preparing and cooking meals. All you need is a little water and mild soap or detergent and your Decoran countertop can be spotless! Decoran material allows for expansion stretches of a countertop without leaving behind any visible seams. In addition, integral sinks can be expanded without any visible joints. With nearly invisible seams and joints, Decoran countertops present a cleanliness that is absent with other materials. Decoran countertops are available in a wide range of colors, patterns, and designs, making it easy to find the perfect countertop to fit your taste. You can opt for a polished look as well as a matte look. Plus, since Decoran is a solid material, it can easily be customized to fit your design and use needs. Many homeowners will integrate drainboards, a backsplash, or built-in trivets. With the right countertop installation company, you can make your Decoran countertops as simple or sophisticated as you like. Decoran countertops generally do not require a lot of maintenance. While they are not resistant to scrapes, cuts, or scratches, these flaws can generally be buffed out with a certain grade of sandpaper that is made specifically for solid surface countertops. Because Decoran is a homogeneous material, sanding it down will not reveal any unsightly flaws or inconsistencies underneath. Decoran countertops are the perfect mid-range countertop for buyers looking for durable and aesthetically appealing countertops, without having to pay the high end costs. Homeowners who do not want laminate countertops but are still looking for an affordable countertop in Barbados generally tend to gravitate towards Decoran countertops. While Decoran countertops can replicate the look and feel of natural stone countertops, such as granite or marble, they are far more affordable. Because Decoran is a solid surface material, it does not harbor bacteria. The aseptically clean surface of Decoran countertops is a great choice for kitchen countertops as well as bathroom countertops. If you want beautiful, durable, and non-porous countertops, Decoran countertops could be the best fit! There are many styles of Decoran countertops available, some that replicate the appearance of natural stone countertops, making it easier to select one that fits well with your kitchen or bathroom. If budget is a concern, Decoran is a more affordable material. Ultimately, the easiest way to decide on a countertop material is to explore your options with a local countertop company — like Fiberpol Inc.! 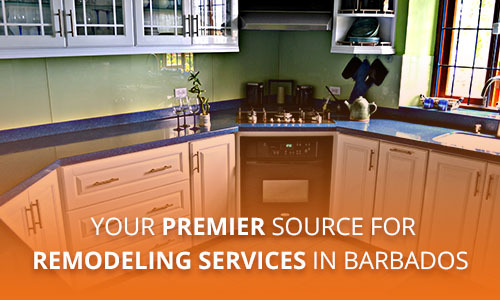 Whether you need countertop replacement or installation, Fiberpol is your go-to resource for kitchen and bathroom countertops in Barbados. In addition to carrying various styles of quartz, granite, and marble countertops we are the leading supplier of Decoran countertops in the area! To learn more about our Decoran countertops or to request a free, no-pressure countertop installation quote, contact Fiberpol today!